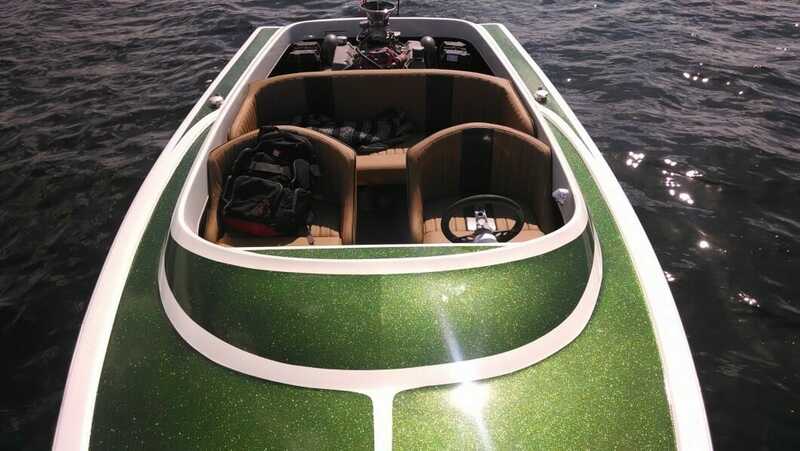 Moss Green Metal flake available in 3 Sizes, Micro .004″, Mini .008″ , and Bass Boat .015″ 400 degree temperature threshold. Available in 4 oz. Jars or 1 lb. Bags. Our Moss Green Metal Flake additives are very versatile and can be used in so many applications. 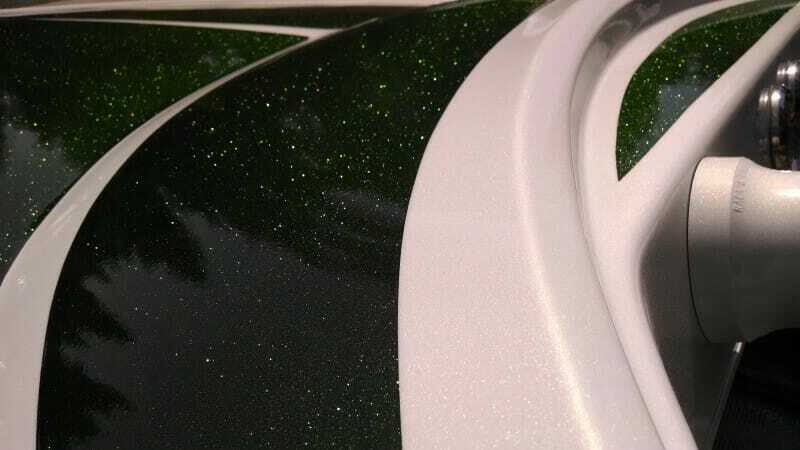 Creating a great Moss Green metal flake paint job is super simple with our flakes. Just choose your base coat (black is good if you want the paint to take on the color of the flakes), and add a heaping tablespoon of our flake to any base clear coat (although we recommend a base clear for mixing the flake into, like PPG’s DBC-500, or HOK’s inter coat clear). 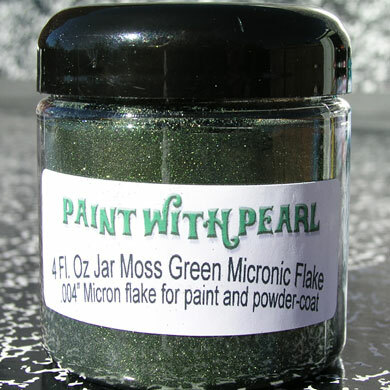 Moss Green Metal Flake comes in many sizes, including .004″, .008″, .015″. 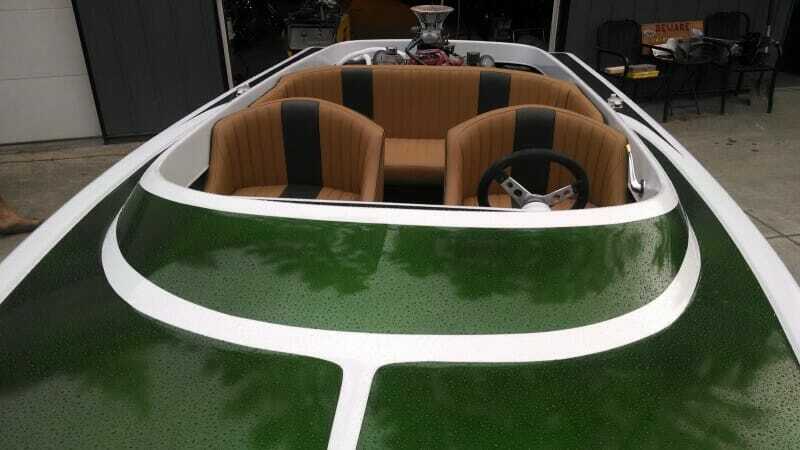 It has a 400 degree temperature threshold. 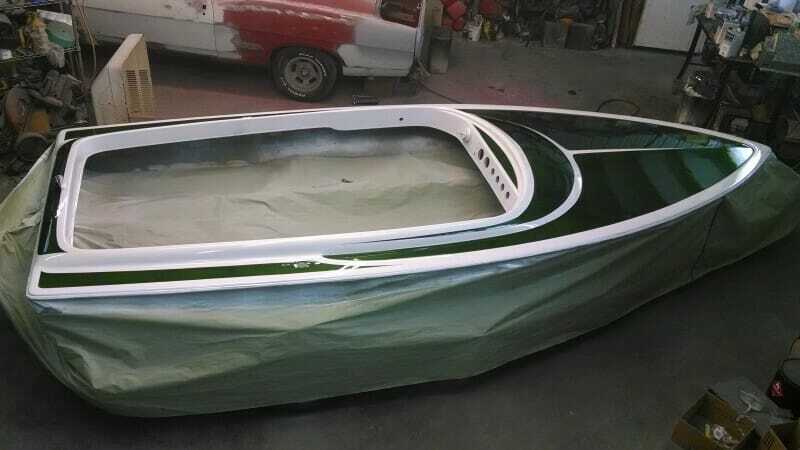 Is for paint, powder coat, anything.